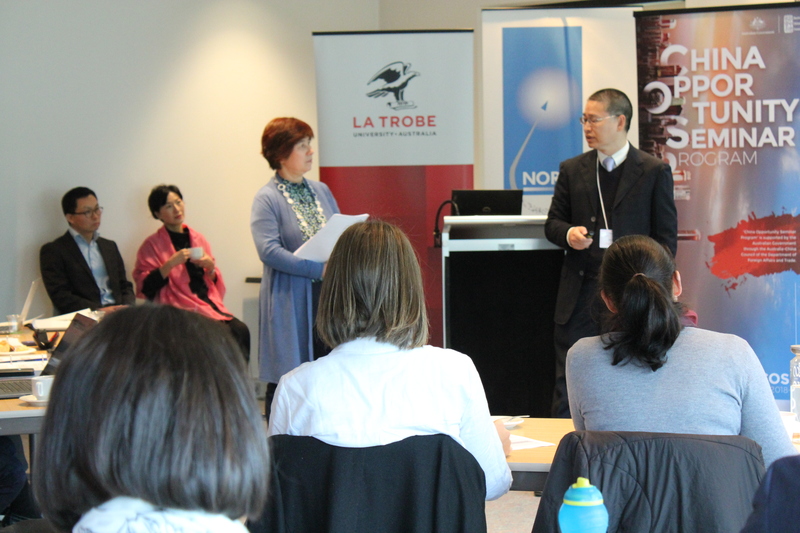 Succeeding in the Chinese market was the premise behind the second in a series of China Opportunity seminars recently hosted by La Trobe University. The seminar consisted of three talks from prominent Chinese market experts and provided great networking opportunities for attendees. The China Opportunity Program comes following a delegation of SMEs from Melbourne’s north that toured Chongqing, China, in May last year. NORTH Link and La Trobe University led the tour with intentions to open food, beverage and fibre businesses from the region up to China’s market. The four-part series runs from September this year to March next year, covering a wide variety of topics to help food, beverage and fibre businesses understand this complex market. Seminar one, held in September, gave participants an entertaining demonstration of Chinese culture and business etiquette. The series will conclude next May when a group of partners will be selected to visit Chongqing and Beijing on a delegation tour. The first speaker was Miku Xiao, a Chinese market advisor for one of the largest Sino-Australian trade agencies. As part of her role, she provides business solutions for local SME exporters. Miku began her talk by giving partners a brief overview of the Chinese market’s size and buying habits. China has 1.39 billion people across 338 cities. To put the country’s economic scale into perspective, China’s GDP was recorded at US $13.457 trillion in 2017, compared to Australia’s US $1.323 trillion. Despite the demand for Australian product, and the vast land of resources, Australia only makes up 6.14 per cent of China’s imports. In 2017, USA made up 10.46 per cent of China’s imports. Miku pointed out that due to the current situation with the USA and China, Australia has the opportunity to make up more of the market. Miku emphasised that the health product/health care category has a lot of potential. Making up only 25 per cent of China’s imports, the product area was considered the most likely to rapidly grow. E-commerce and the digital market is paving the way for effective product distribution as apps such as WeChat contribute up 50 per cent of the supply market share. 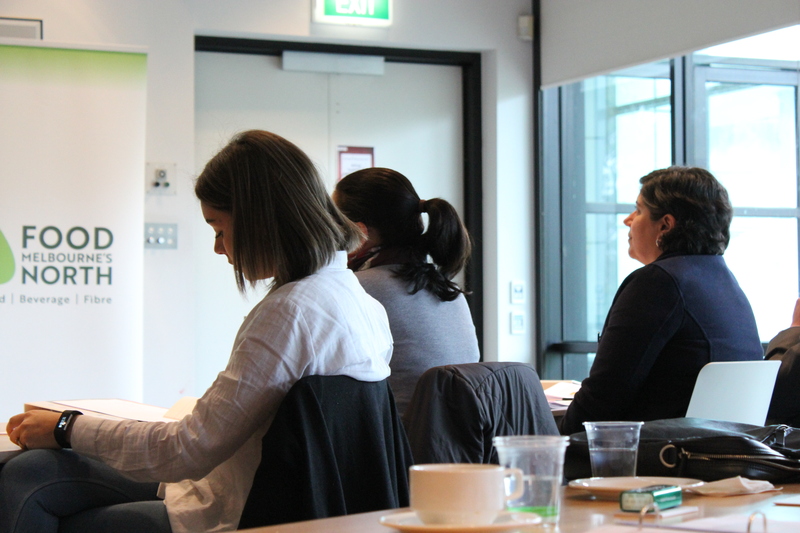 Research conducted in China has shown some very positive signs for Australian products. Eight in 10 Chinese research participants say it is very likely they will purchase an Australian product in the next year. The Chinese market has signalled Australia’s natural environment, natural products and high industry standards as factors contributing to the strong demand. Despite the eagerness for Australian products, Miku identified several factors that are seriously disadvantaging Chinese exporting opportunities. Where Australian brands are partly failing is the inability to understand China’s consumer needs. China’s market is accustomed to unique product specifications and branding, meaning thorough research is required to successfully introduce foreign goods. Product design and branding is one thing, but China’s complicated rules and regulations are another. Miku advised that speaking to a Chinese importing consultant will be greatly beneficial to avoid these issues. Xin Zhou, a fellow Chinese market expert, discussed two case studies that showcased how a business can fail or succeed in China. Xin first made example of a European dairy and foods company that is globally successful, with revenue totalling 7.5 billion euros in 2017. The company failed in China for three reasons. Firstly, they had poor brand awareness. As a small example, they introduced 1L milk cartons when the Chinese market is more inclined to purchase 250 ml bottles. Xin pointed out that Chinese consumers want to finish their carton of milk in one go, rather than saving it for later. The other two contributing factors were their complacency due to rapid global expansion, followed by their lack of attention to the expanding digital market. Xin also spoke of a bedding company that successfully launched in the Chinese market in 2008. It wasn’t until the bedding company took advantage of China’s rapidly growing digital market that it began generating higher revenue. Utilising online platform Tmall, the company began doubling its revenue annually. This digital strategy was complemented by an attractive unique selling point for the consumer. Before the seminar concluded, Miku and Xin were joined by Zelong Wang for a panel discussion. Zealong has 20 years’ experience in Chinese marketing, and has worked for leading regional and multinational companies. The panel was asked a series of questions that touched on effective marketing strategies for Australian food and beverage SMEs wanting to enter China. They gave partners some helpful advice, including the need to use social media apps such as WeChat and Tik Tok to test products in the market. The China Opportunity Program is among several China relations activities that MNFG and NORTH Link have undertaken recently. Earlier this year a Chongqing and Beijing delegation tour was led in Melbourne’s north, exposing partners to exporting opportunities. Several tours with 163 Visa Entrepreneurs took place over this year, with the latest occurring in September. 163 Visa Entrepreneurs are a group of local Chinese business owners and suppliers. 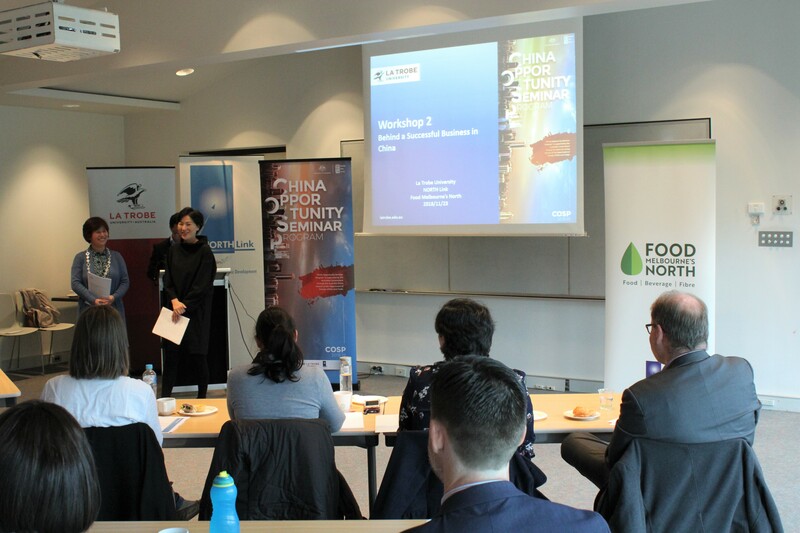 The China Opportunity Seminar Program is supported by the Australian Government through the Australia China Council of the Department of Foreign Affairs and Trade. For more information on Chinese exporting activities and events contact Margaret McLelland, T: 0417 293 570 or margaret@melbournesnorth.com.au. PreviousPrevious post:Innovation in Food and Agribusiness ForumNextNext post:Shearasun Brewing Co.